Lonavala is a much-sought-after destination for many people for a quick weekend getaway or a last-minute soiree with family and friends to travel away from the humdrum of the city and seek tranquil and peace. Hotel Rama Krishna Lonavala is strategically located in the heart of the town and has built an iconic status for itself over the years. We are present in Lonavala to give you a home-like experience with the best of comforts and we seek to ensure that you have a comfortable stay with us. We are a 45-room hotel and offer the best rates in town, upholding our tradition of quality customer service affordable to one and all. 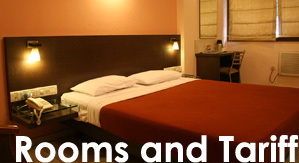 The comfort services from having hot water 24 by 7 to having cable television we give you all. 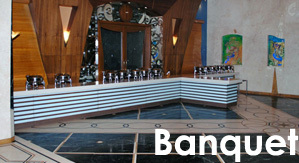 Our multi-cuisine restaurant will ensure that your taste buds are satiated with an exquisite offering of an array of dishes and drinks- Cocktails and Mocktails. The south Indian speciality snacks is something you surely wouldn’t miss served piping hot in a pleasant weather. We strive to make your weekend getaway/vacation a memorable experience, always. 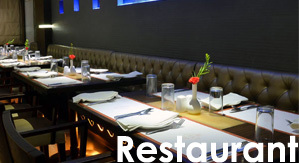 Our fully air-conditioned restaurant and our widely-experienced chefs ensure that the choicest cuisines are always availableto satisfy your taste buds. Believing in the traditional motto of “AtithiDevoBhav”, we hold our guests supreme and seek to provide the best-in-class service always. TEL : - 022 - 2617 7777, 022 - 2617 8888.